My daughter has been going to Amazing Explorers for the past 2 years and I cannot be more grateful for the welcoming staff and diligent teachers! She has not only grown academically, but has grown to be more confident, independent, kind, and thankful; and above all LOVES to learn. Amazing Explorers truly does an outstanding job educating the whole child through engaging and playful instruction. There hasn’t been a day that goes by when my daughter doesn’t ask if she can go to school. Thank you so much Amazing Explorers for giving my daughter the best foundational learning experience possible! I am so thankful and lucky to have found Amazing Explorers! We LOVE this place! I have two girls who have been attending Amazing Explorers since 2011. The combination of their STEM curriculum with the Power of Arts is hands down the best in the state! The staff is personable and caring and the teachers are amazing! The Director (Erika Seger) and Assistant Director (Jamie Kirker) are two of the most organized and productive people that I know. Their professionalism and people skills provides for effective management and oversight of day to day operations. I feel safe knowing that my kids are in their hands. Amazing Explorers has become a second home to us and the staff has become our second family. They encourage my children every day and help them create a strong sense of self-esteem. I can honestly say that all of my expectations have been exceeded. Amazing Explorers is one of the greatest decisions I have ever made for my children. We have been fortunate to be part of The Amazing Explorers Academy family for the past 6 years. Both of our children began their journey in the infant room and we have watched them grow into bright, inquisitive leaders which we attribute the great curriculum, staff and management of The Amazing Explorers Academy. It has been exciting to watch the school transform from an outstanding traditional pre-school to a cutting edge, one of a kind Science, Technology, Engineering, and Math (STEM) learning center where children are immersed and exposed to the wonders of STEM. From the hands on activities in the STEM museum to the creative digital production lab, the children are always engage and learning the not just the “what” but the “why”. We cannot think of a better place to entrust the early education of our children. 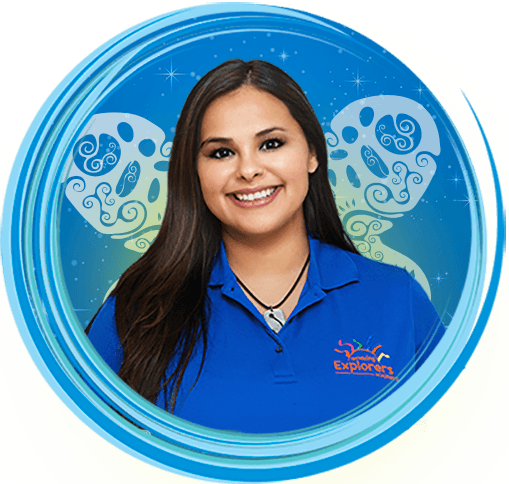 Domi Maigut is the director of the Amazing Explorers Academy Winter Springs Location. She joined the AEA team for more than five years, three of which I was part of the AEA Leadership Program. Prior to that Mrs Domi served as a VPK Lead Teacher with Amazing Explorers. 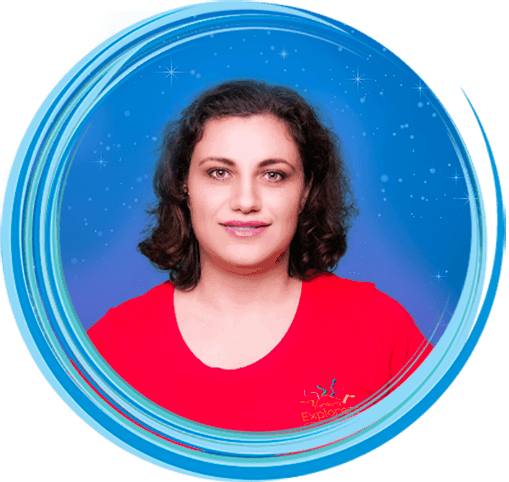 She has been working in the early childhood education field since 1998. Mrs Maigut graduated from Quincy College with a degree in Early Childhood Education. Ms Domi has a seventeen year old son and a cat lover! In her spare time, she enjoys reading and doing cross fit. Her greatest joy is watching young children learn, develop and grow as they progress through our curriculum. Even after nearly twenty years in the field of Early Childhood Education she is amazed how little minds work! Are you looking for an Amazing Career in Winter Springs?